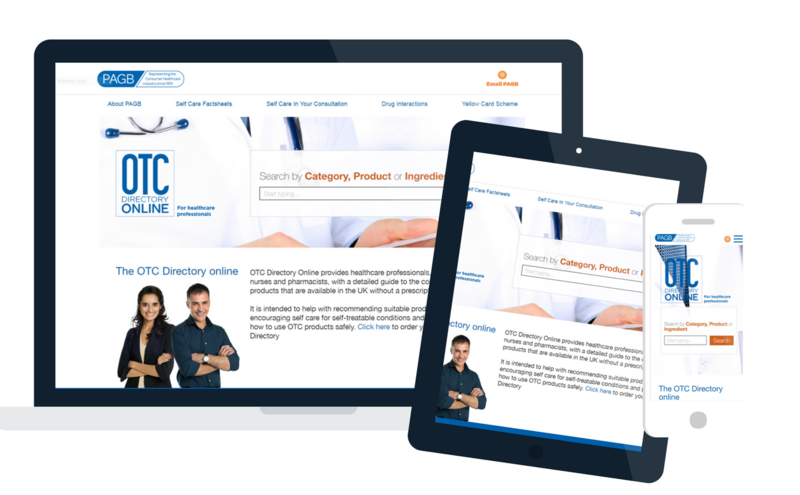 The OTC directory is designed to give health professionals such as GPs, practice nurses and pharmacists a helpful guide to the consumer healthcare products available without a prescription, including over-the-counter medicines, food supplements and self care medical devices. PAGB sends copies of its OTC directory to 59,000 healthcare professionals including: GPs, practice nurses, pharmacists, hospital pharmacies, paramedics and other groups. Additional copies of the OTC directory are available on request for health professionals. The next print edition of the OTC directory will be available in 2019. To order between 1 and 6 copies, select the required quantity below and pay by credit or debit card. Once payment has been made we will process your order. Instructions for ordering 7 or more copies. There is no charge for the book, however we do ask you to pay the postage and packing, which is made up of the cost of delivery via Royal Mail or another provider, and a small charge for administration. The self-addressed envelope should have enough postage for the quantity ordered. See postage and packing costs. Insufficient postage will mean that we cannot send you the directory. Orders without an order form will not be processed. It is usually more cost effective to deliver orders for 7 or more copies of the OTC directory by courier. We will contact you to check the price of delivery and arrange payment by invoice or credit/debit card before shipping your order. Your order will be dispatched once payment has been received by PAGB. Submit your request at the link below and we’ll be in touch to complete your order.